Watch time fly! This clever and stylish watch features a rotating jet that ticks off the seconds...…..
Watch time fly! This clever and stylish watch features a rotating jet that ticks off the seconds. 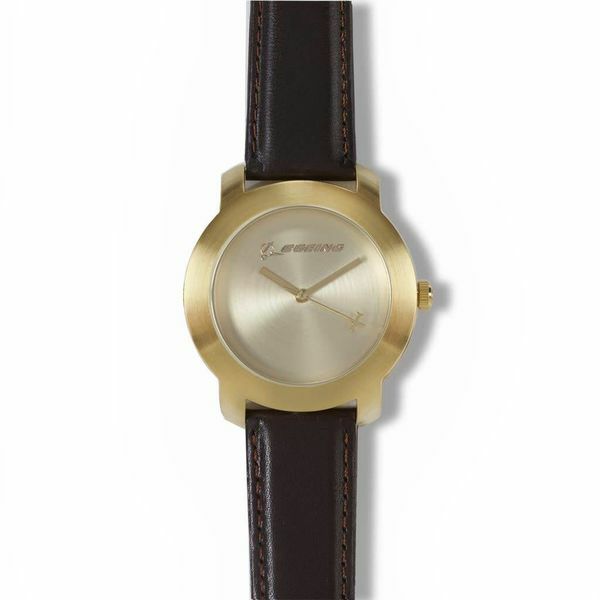 It has a sleek brass case with ion-plated gold finish, brown genuine-leather strap with steel buckle, brushed gold-finish dial with goldtone Boeing logo, steel crown, and reliable Japanese movement. Case measures 42 mm x 47.5 mm. Imported.